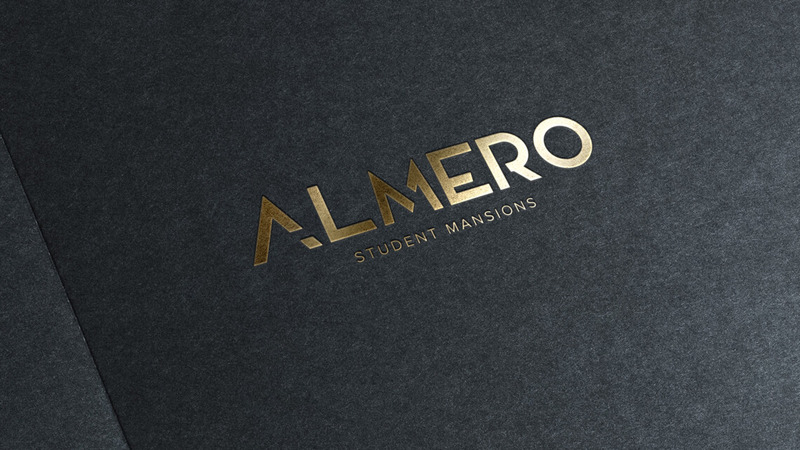 Almero Student Mansions are the home of luxury student accommodation. They place strong emphasis on enriching the student experience through providing the best possible base for a students journey. 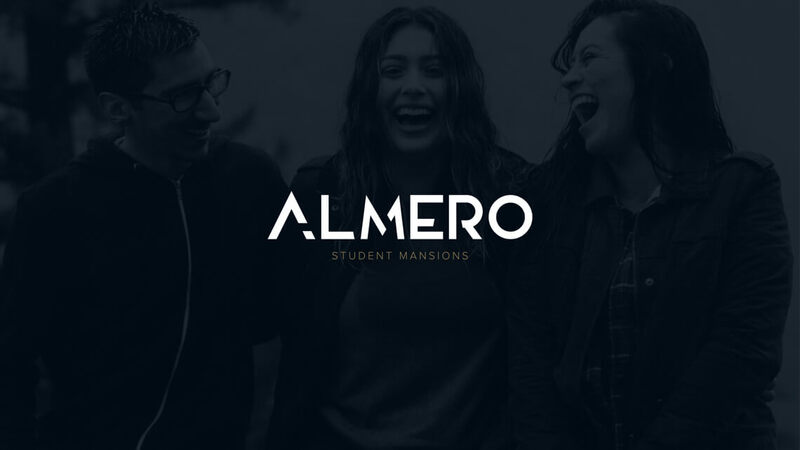 Almero had an outdated brand and website which was failing to give the premium quality they offered. 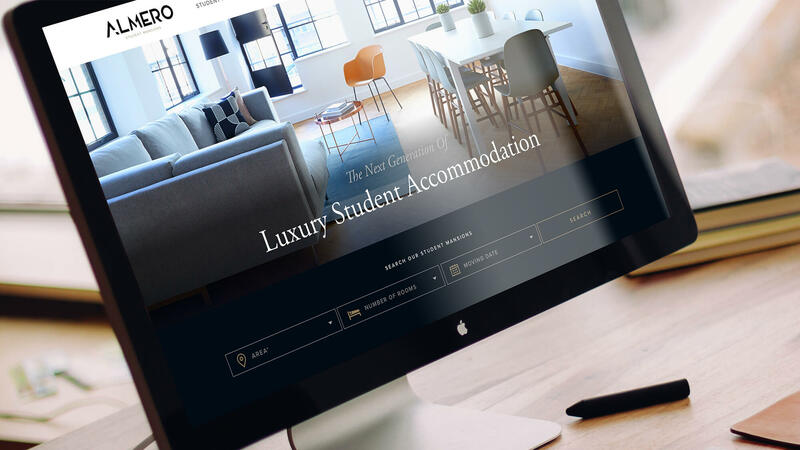 They requested to revolutionise their current brand and website experience to portray a more luxury online presence from landing, through to conversion. The project was split into a branding piece and web build. 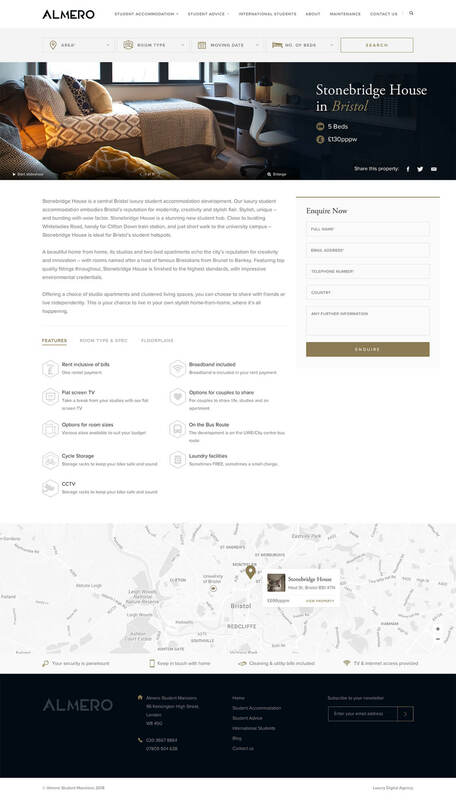 Goals were set up to allow for the site to portray a luxurious feel, increase targeted traffic and allow for clear enquiry capture points, leading to higher conversion. Working closely with Almero, new guidelines were set up to help them express their positioning, personality and beliefs. Through exploration and iteration standards were redefined. 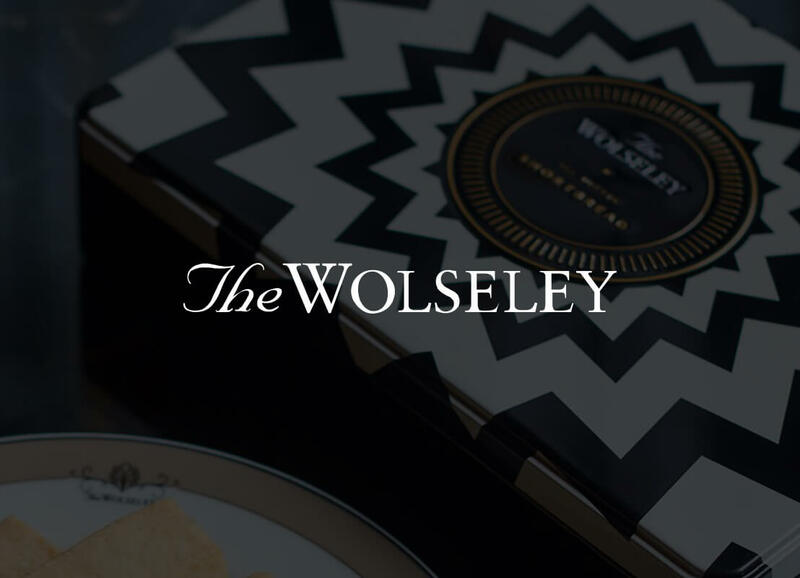 Clean design, elegant typography, strong images created a luxurious brand identity. After completing brand strategy and identity, we moved into UX and UI discovery. The site needed an information re-architecture and content strategy, including defining target audience personas and user stories. Almero wanted to target students through rich content such as university advice and checklists. 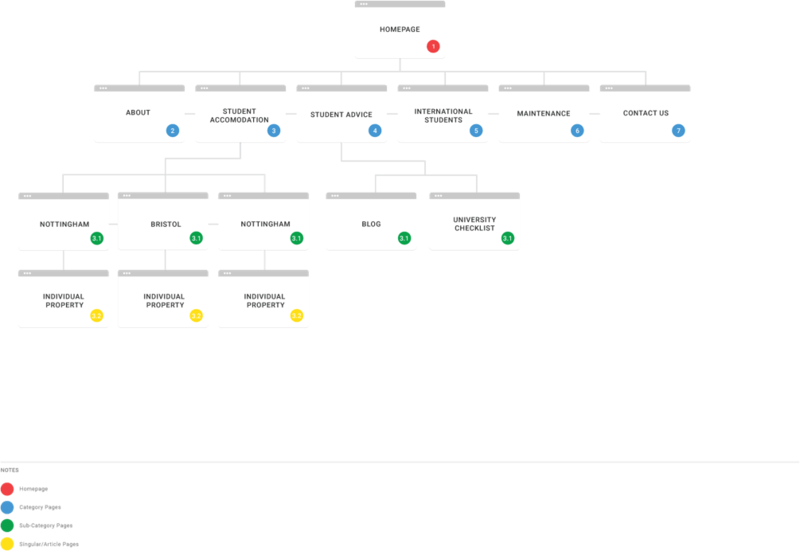 The sitemap was re-engineered to provide a better site hierarchy and act a as diagram outline for creating content. informative content was then created through user flow, page structure, and copywriting. 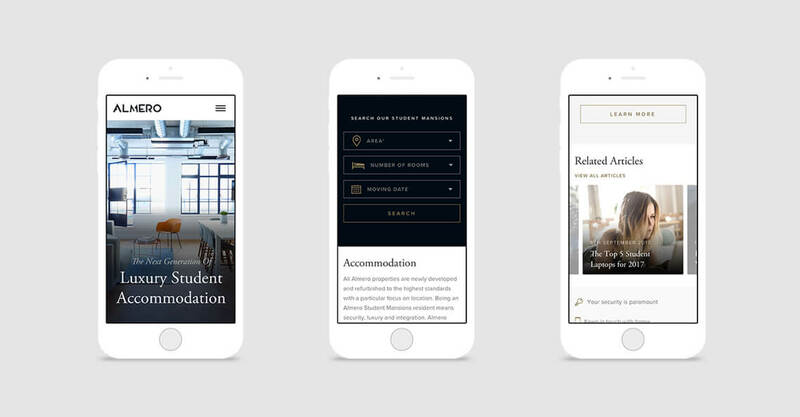 From content strategy through to page design, the elegant brand system encouraged creative flourishes in the UI design which included gentle parallax scrolling through to swiping carousels. 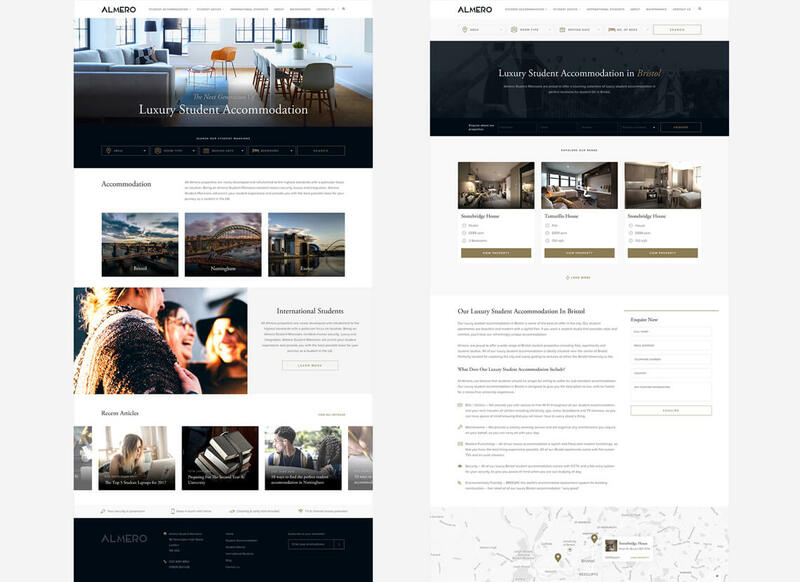 The goal was to provide the optimum browsing experience while maintaining Almeros brand essence through primary features and site content. 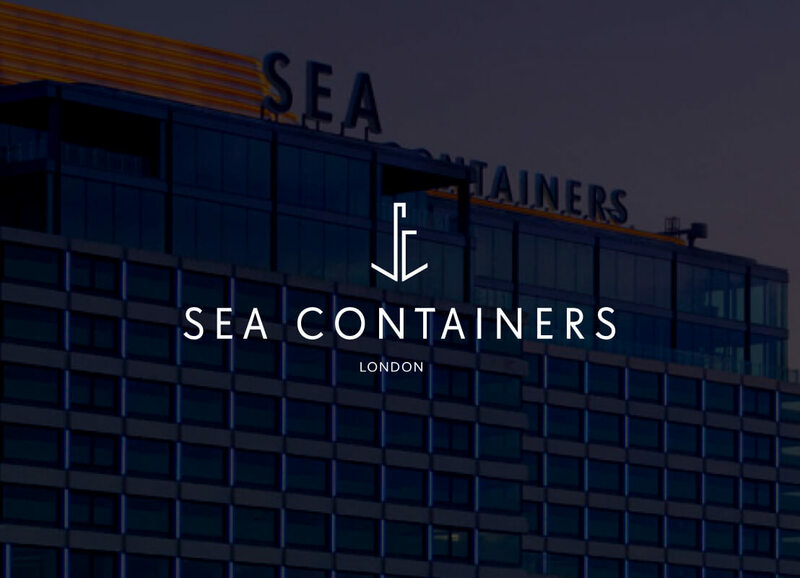 The entire site was designed responsively and allowed to user journeys to be effectively mirrored across desktop, tablet and mobile devices.